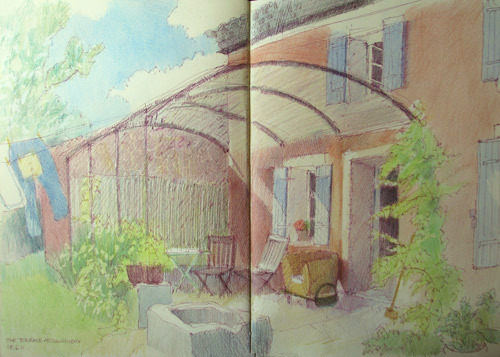 In June this year I travelled - with my sketchbook and brand new paints - to Provence for a new experience - a painting house party! I stayed in the home of Julian Merrow Smith (Postcard from Provence) and Ruth Phillips (Meanwhile) while Ruth played cello at the Garsington Opera Festival and Julian learned a few of the tricks essential to his status as a new father. Provence is special to me because it's where I came back to art - some twenty odd years ago after a very long gap - albeit in the Luberon which is the next valley over (see The first time I went painting in Provence). It was fascinating to go back and see some of the same places again and to see how much or how little they had changed. First - the house got hit by lightning during a major storm and we lost all internet access. That made blogging a bit tricky (it had to be done from the bar in town and only one image at a time could be uploaded). Hence in June I focused on the group blog rather than this one- and consequently this one does not have a lot of posts about the trip. 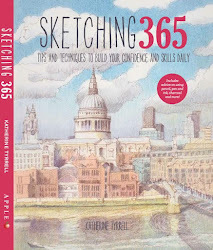 One of the features of this blog is it contains a record of my Travels with a Sketchbook and I want to remedy that for my last trip. 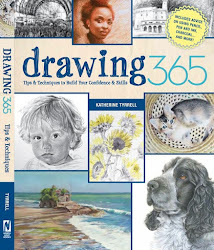 Second - many of my sketches are 11"x16" and some in my A3 size Moleskine Folio Sketchbook are 16" x 22" as double page spreads. Getting these digitised is not a particularly quick exercise! Having been daunted by the challenge for a while I've solved this one by taking photographs - but may well replace these in due course with rather better scanned images. Third - I've always previously done trips on a day by day basis. However after a think, I think this one might be better tackled in broadly speaking a chronological order - but with much more focus on places and the type of image I was creating. Plus photos added in where appropriate. The trip starts and finishes with my drive through France - to and from the Channel Tunnel at Calais. Here's a notional running order. I'll come back and add in links as these are completed. I'm going to redo some posts done in June. 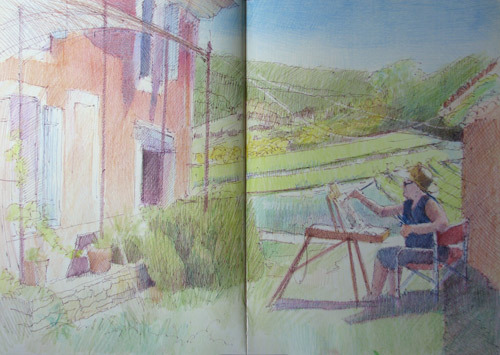 I've also referenced those posts on Four Go Painting in Provence (4PP) which are relevant and will not be reproduced on this blog. 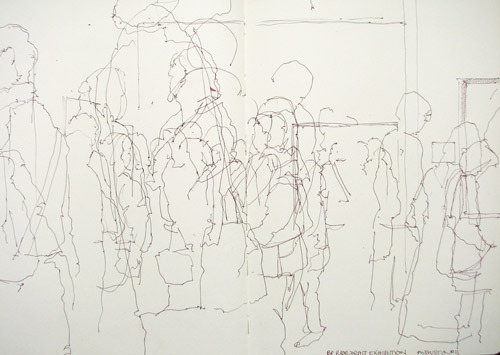 These are two sketches made while visiting the BP Portrait Award Exhibition 2011 at the National Portrait Gallery. 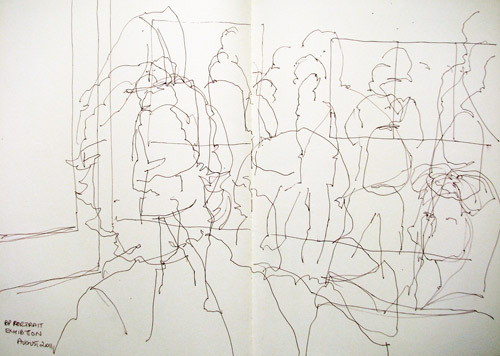 The gallery was packed and I sat on the end of a bench and sketched the visitors. They moved constantly and the ones that weren't being sketched frequently obscured the ones that were! But that's the way it is in a very popular and busy exhibition! See if you can find the girl with the large bow in her hair who sat next to me and watched me sketch. The National Portrait Gallery has announced that the 2011 BP Portrait Award Exhibition has been the most popular exhibition in the Gallery’s history. You have until 18 September to see it in London. 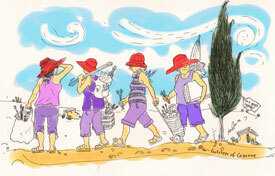 This is the first video from the Urban Sketchers Symposium in Lisbon - enjoy! If I half close my eyes it looks a bit like an urban beach! 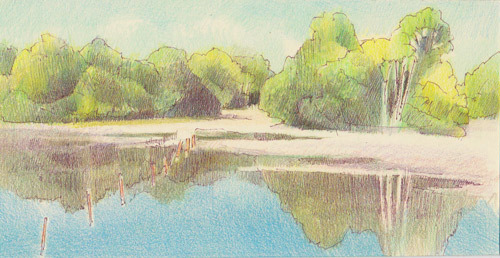 These are a couple of sketches of the drained lake in Victoria Park in East London. Which has now been drained for more months and month with no apparent progress in getting it sorted and refilled. It sits in the middle of my local park which at the moment resembles nothing more than a building site. All because the Olympics are arriving here next year. It appears the only concern is whether it will be ready in time for the Olympics (ie by Easter 2012) not whether a decent amount of the park would be ready for enjoyment by the local residents this summer. So they've fenced off large chunks of the park, emptied the lakes and tried to see how few people they need to have working to maintain a semblance of doing some work. It used to be one of the best parks in London in which to walk. It is now a terribly depressing place to visit. It's also a great big hole in the lives of those people who live locally who don't have gardens and have always relied on the park for their place to go when the sun shines. But apparently the needs of local residents don't count for much in the eyes of whoever is mismanaging this project at Tower Hamlets Council. I know I'm not the only resident who is feeling very upset with the way local residents have been treated with respect to the disruption to the park since the beginning of the year. I can only think it's an indication of the way we are going to be treated next year as the Olympics arrive in my local area. We've already had pronouncements about the Olympic transport problems for the whole of London from Transport for London. We've also experienced the gridlock which occurred for hours when they tried out the cycle road race recently. Apparently we are all in severe danger of experiencing severe gridlock for the duration of the Games. Plus there are going to be something like three million extra journeys on public transport EACH DAY - this on a system which barely copes at peak times at present! TfL hopes are pinned on Londoners avoiding the use of public transport for the duration of the Games! 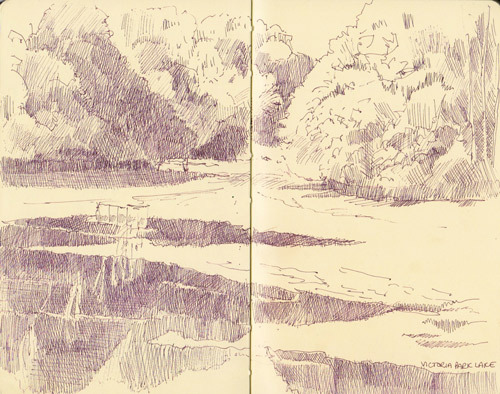 Anyway I couldn't bear to draw the lake exactly as it is and these two sketches make it look an awful lot better than it actually is. 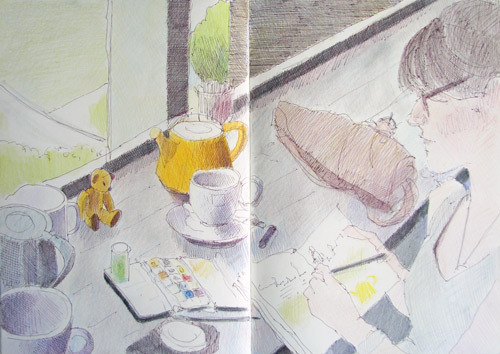 Both sketches were drawn from The Pavilion Cafe in Victoria Park which is a little oasis in the desert of buildings works in Victoria Park right now! There's two more days left of the High Watermark exhibition at the Mall Galleries - see Review: "High Watermark" at the Mall Galleries. 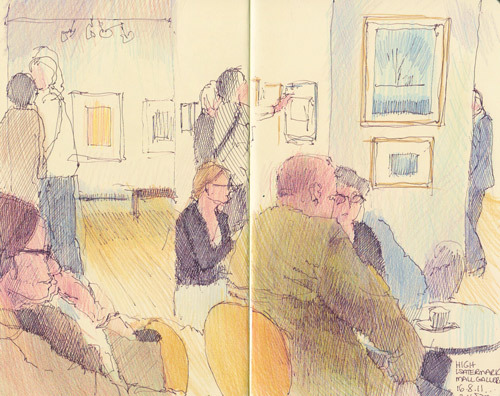 I visited the Private View on Tuesday and took the newly retired "he who must not be bored while I sketch" with me. We had a quick trot round to see what was in the exhibition. After which I made another tour of the exhibition and jotted down my notes of the artwork which had caught my eye - and had a very nice chat with the Presidents of the two watercolour societies - Ronald Maddox PRI, (President of the Royal Institute of Painters in Watercolours and David Paskett PRWS, (President of the Royal Watercolour Society). 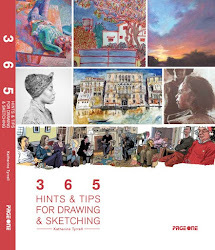 It's so very nice to see the two societies collaborating together to produce this exhibition which is seen in two venues and provides yet another welcome exhibition of watercolour painting in London. I arranged to meet Liz Steel (Liz and Borromini) on Tuesday morning on the steps at the front of St Paul's Cathedral in the City of London. 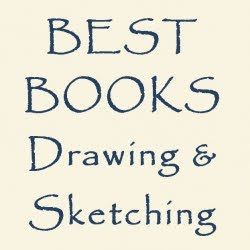 It's a good place for sketchers to meet. You have views down Ludgate Hill (see Sitting on the steps of St Paul's Cathedral in the sun) - and a big covered area should it start to rain! Plus if you like sketching people - or just need the practice - there's lots of opportunities to sketch people who have stopped to sit awhile on the steps at the front of the cathedral. As I did. 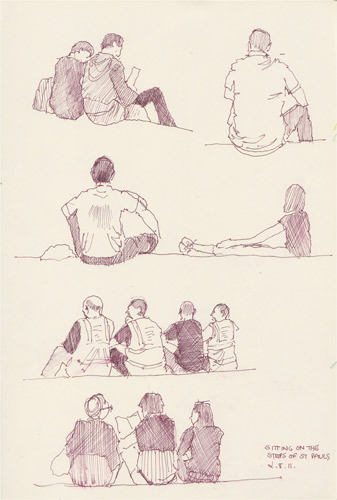 It's a great perspective for sketching the backs of people and trying to capture posture and character - and what the back of a head looks like! I spent a very enjoyable day yesterday at Tate Modern with Liz Steel and the little bear (Liz and Borromini). 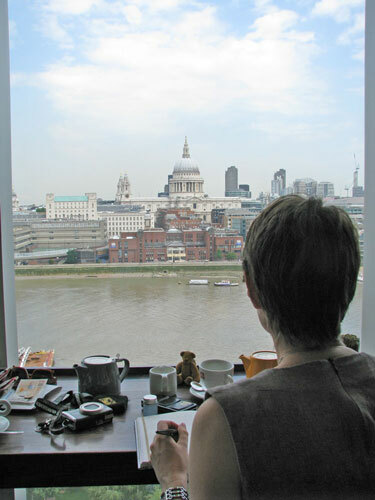 We sat at the windows overlooking the Thames on the seventh floor of Tate Modern, opposite St Paul's cathedral and sketched and talked and talked and sketched and drank tea, ate lunch, drank more tea, sketched more, talked more. A really fine day. 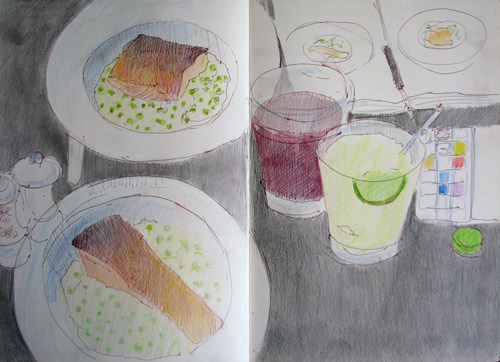 The funny bit was when our respective plates of Griddled fillet of salmon with broad bean, pea & mint risotto had been served and we both pulled out our sketchbooks and started to sketch. 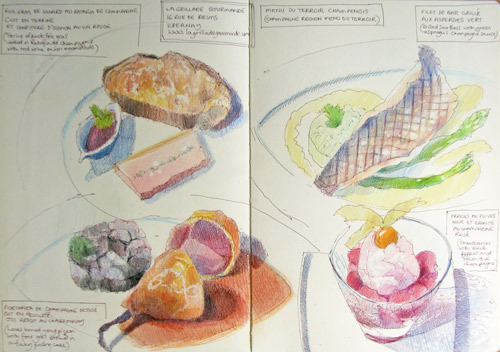 The waiter came up and asked us if everything was OK - to which we both chorused - "Yes - we sketch our meals!" 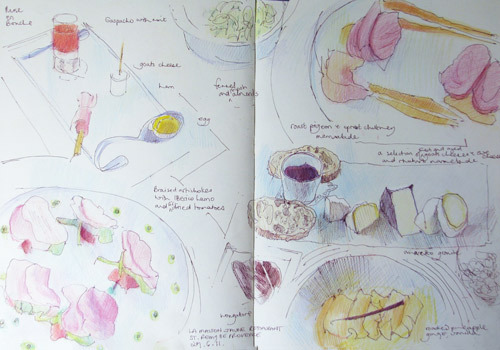 Here's my sketch - which is both dishes and Liz's sketch of both dishes. Liz goes home on Thursday after another epic trip around Europe. You can see her trip uploads to Flickr here.